See what other WHS students are reading in the Weston Book Review. We need your reviews--please submit! Questions? Ask the librarians. 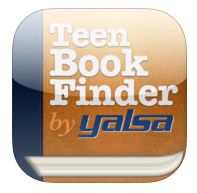 Download this Apple app to find great new books. Social reading. Start an account and follow us. Can't find what you need at school? Try the Minuteman Library Network. Tell the librarians the title and author of the works you want. We'll order it for you and deliver it to school. Good places to look for videos. Millions of videos. Your choice of search term is really important. This enormous repository preserves webpages, music, books, video and spoken audio. Great place to find primary sources. MediaCast Description of this database.